The Shackle, also called iron bracelets, on chains that fetter the movement of criminals. They are used for the purpose of imprisoning and immobilizing criminals for long periods of time, as well as transporting said subjects. 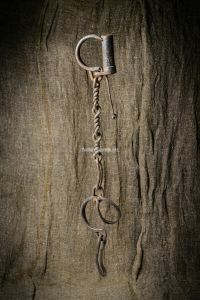 The first shackles most likely appeared during the Bronze Age, the beginning of a more of less mass metalworking Renaissance. For example, the British museum kept Assyrian bronze shackles, found at Nineveh, and dating back to the X century BC. Initially, shackles were fastened with rivets and could be removed only with a chisel. Then, the clamps were enclosed with locks. The designs have be thought out carefully, and bracelets with a wide enough width can avoiding crippling the hands. Also, depending upon the application, the chain length would be determined considering these conditions. If movement was allowed, the distance reached would be 15-25 centimeters between manual bracers and 35-45 cm between the legs. 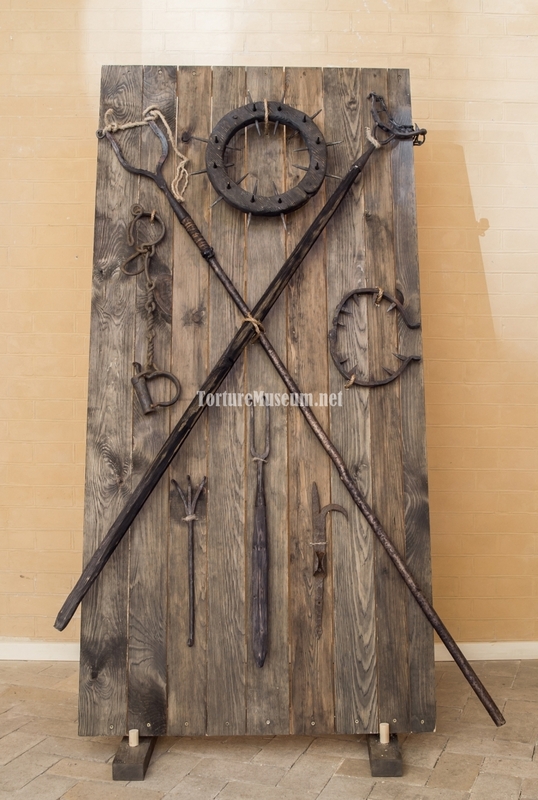 There was a special prison with a particularly strict regime, in which prisoners were forced to walk a third of their sentence in such shackles. Most times, it lasted more than 5 years, and became a serious test of physical and emotional endurance. 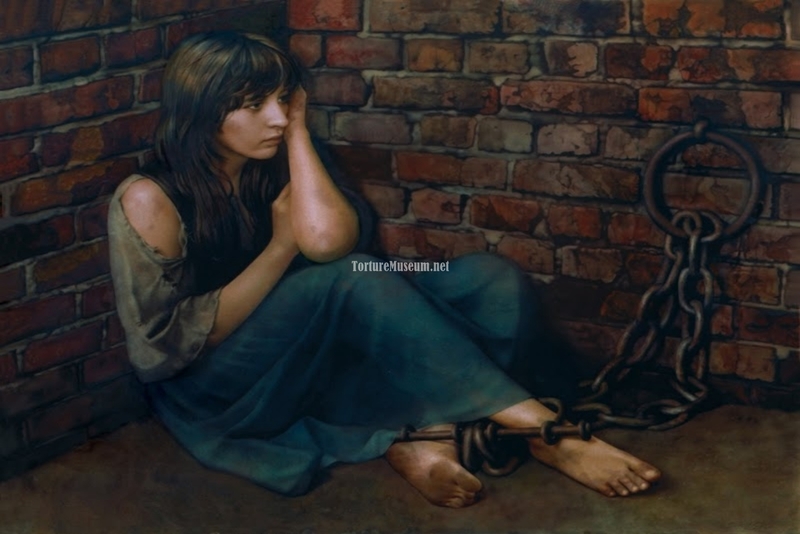 The length of stay in chains contributed to the development of osteoporosis, bone tissue problems at the site of contact between skin and fetters, and also led to a decrease in muscle mass. An interesting fact: Prisoners in chain for long periods of time formed a specific style of walking. The underarms were easily recognizable in a crowd of ex-convicts on the walk, if they committed a crime and tried to escape. 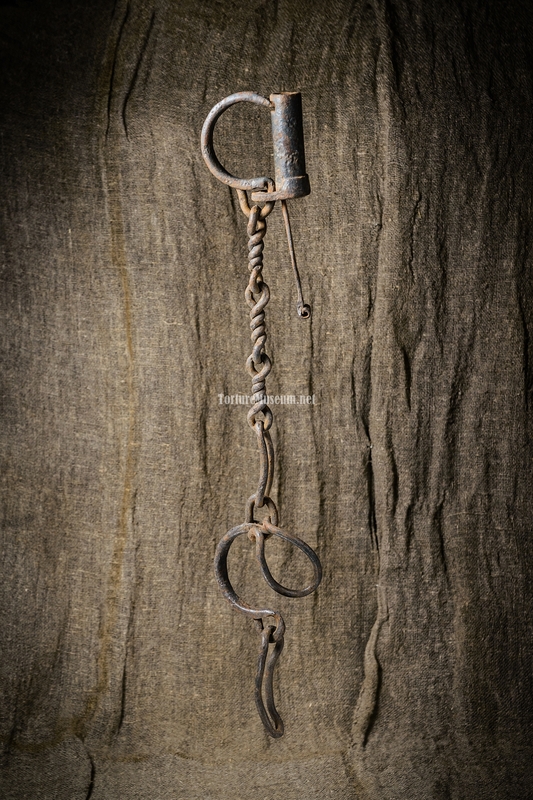 You might be surprised, but the shackles were invented long before metal coins and toothpaste. This may very well mean that in ancient times penal institutions were of the highest priority when compared with their economic and healthcare-related counterparts. Allow me to invite you on a short journey through time. That there is a Greek galley cutting in and out of stormy waters. Rowers are seated along both sides. All of them are slaves or criminals. Healthy, muscular men, forced into tough, monotonous work. For many hours on end, the rowers gleefully push the heavy wooden paddles under the guards’ command. Across their faces and arms one can see pulsating veins, their teeth clenched from reaching their strength’s limit as well as violent anger. They would be able to throw their overseers overboard in mere instant were they not fastened down to their benches with heavy shackles. And this is a famous Australian quarry. Hungry, exhausted slaves beating sledgehammers day and night atop huge boulders, in hopes that amongst the speckled stones a grain of gold can be found. After such an event, the nobleman slaveowner takes a rusty key from a bunch and tosses it at the feet of the lucky man. Blistered hands with disheveled nails manage to undo the binds on their third attempt, and he throws the despised clamps away. Here is a prisoner’s camp within the headquarters of the Napoleonic army. In the deep depths of an actual dug-out earthen chamber sit enemy officers awaiting their fate. Pale, emaciated faces look up the starry sky in prayer and despair. In the morning they will meet an execution by firing squad. Many would rather take a chance and be shot whilst trying to escape. But this chance is taken away from thеse condemned spectors by the ringing of the chains attached to their arms and legs. 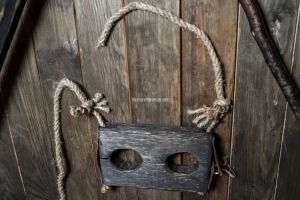 Jail dungeons, slave mines, prisoner camps, and even the halls of courtrooms — all of these places could not be made possible without the presence of chinking, shackling chains.